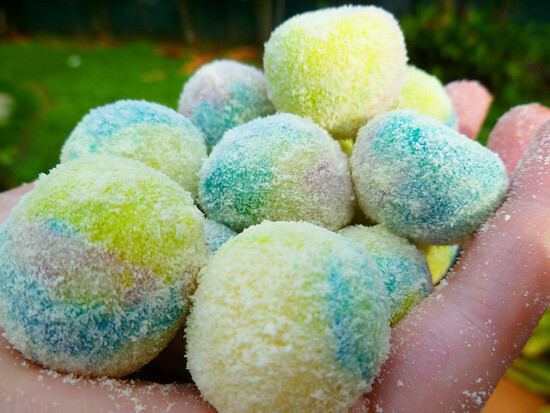 The next Easter treat I'm going to post about is these very very cute Easter Balls. Ok, I'm going to be completely honest on this one: these turned out terrible. I mean, they are almost inedible. They are supposed to taste a lot like sweetened condensed milk but instead they are sorda bitter... I followed the recipe exactly, so I have no idea why! I'm not going to post the recipe on this one since it turned out so bad. However, I am VERY proud at how cute they turned out!!! 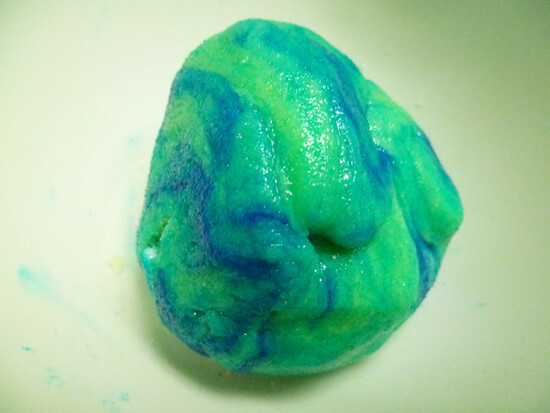 So I thought I would post a couple of pictures of how I made these inedible but cute Easter balls. 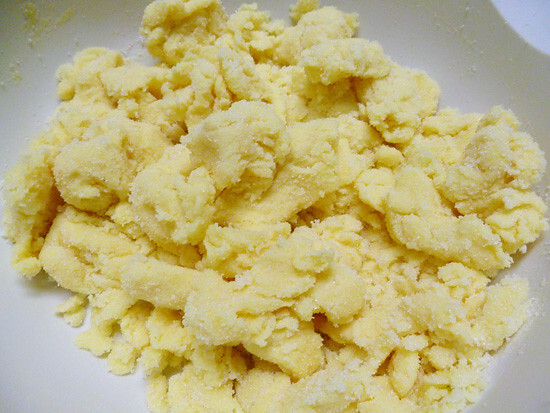 After mixing all the ingredients, the batter was very thick and hard. 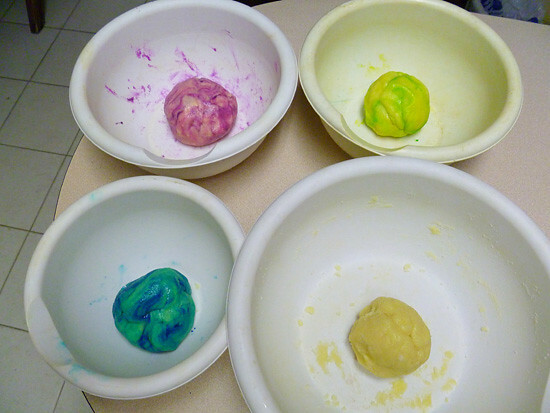 Then I divided the batter into four parts and added food coloring to three of them. 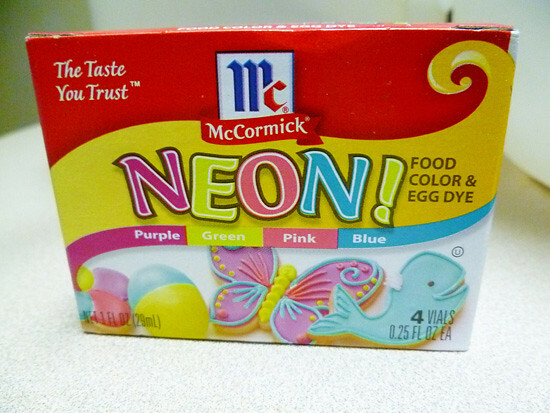 I used some Neon food coloring that resulted in really cute Spring-y colors! 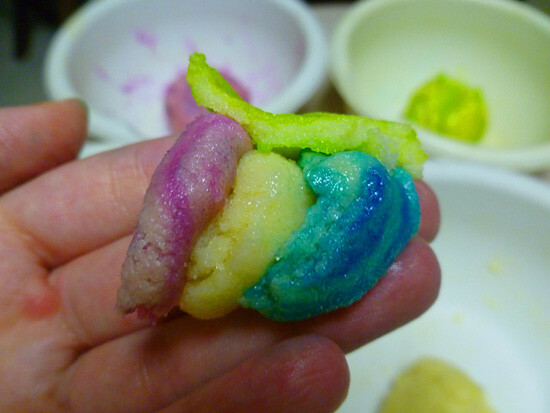 For the last step of this recipe, I took a little piece of each color into my hand and rolled them into a ball. 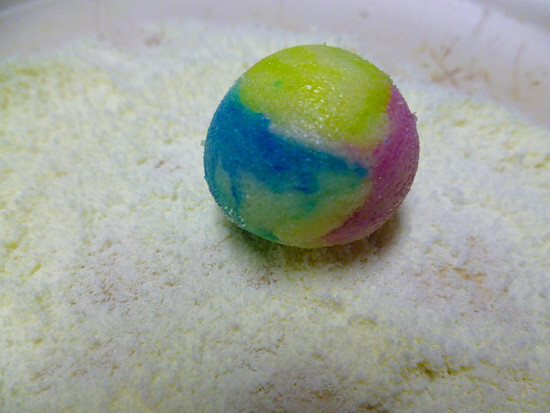 So there you have it, that's how you make really cute but very bitter Easter balls! hahahaha. Sometimes you win some and sometimes you lose some right? Well, they look good !